Located in Gales Ferry, the Nathan Lester Farm Tool Museum and old farm house are a great place to visit year round. 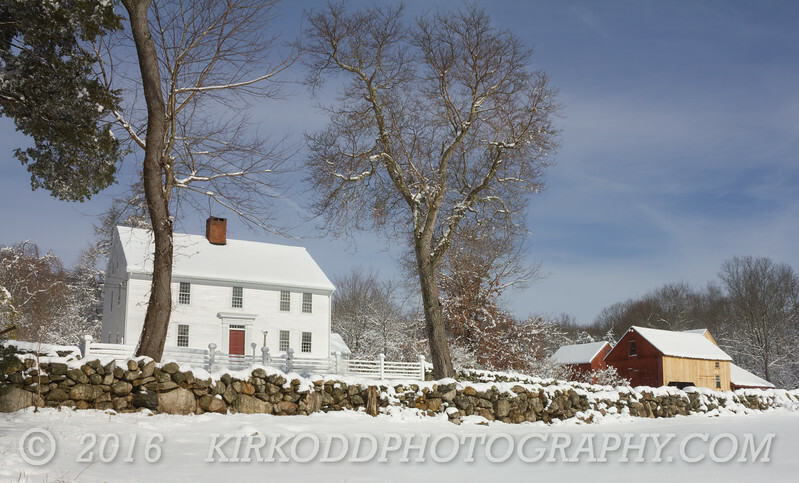 Here, the farm house and the grounds are blanketed in a pristine coat of snow. We think this image captures the feel of an earlier, quieter New England, where life was just a little bit slower.